Charlotteans can be quick to claim Davidson, a small town of about 12,000 located 20 miles north of Uptown, as a quaint extension of the big city. In fact, #1 on our list of Charlotte’s top 50 restaurants is actually in Davidson. But the lakeside destination with its idyllic Main Street and manicured college campus is a world apart with a personality all its own. 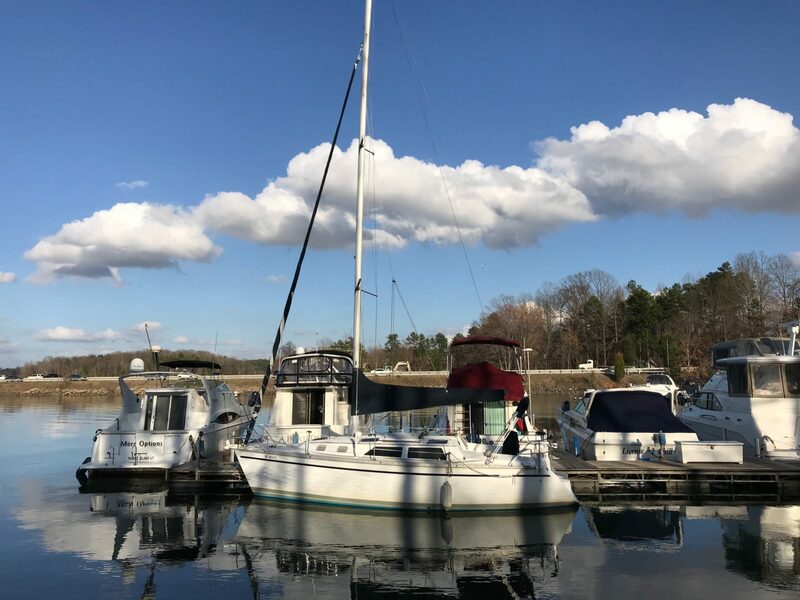 From Charlotte, Davidson is an easy day trip best executed on a Saturday when you can catch the morning buzz of the year-round downtown farmers market and then linger all the way through sunset happy hour on the lake. But charming overnight options are available if you prefer to make a full weekend of it. Here’s what’s on the itinerary when we’re in town. Historic inns and homey Airbnbs. You’ll find a handful of chain hotels along the interstate on the way up but will enjoy a more immersive escape in a historic property or personal home rental downtown. 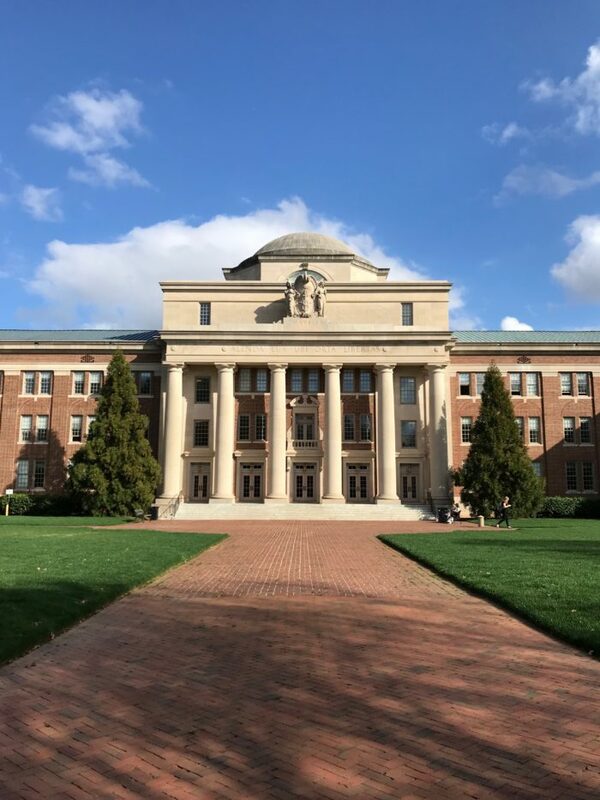 Options are limited in a town of this size so book in advance and avoid major Davidson College events like move-in day or commencement when everything is already at capacity. Our top pick for an unexpected experience is Carnegie Guest House, an 8-room property built in 1910 in the heart of Davidson College’s campus. It originally served as a library and today operates as a bed and breakfast. Davidson is ideally situated for a quick down-and-back day trip from Charlotte. It’s a straight shot up I-77 and if you steer clear of traveling during weekday rush hours, you should be able to get there without ripping your hair out. Best of all, you’ll find free public parking throughout downtown once you arrive, and it’s a small enough area that you can cover all of Main Street on foot. If you plan on partaking in lakeside cocktails or lingering over a bottle of wine at dinner, be sure to tap a sober driver for your trip. Lyft’s fare estimator prices the trip around $30 one way. A mature college town. 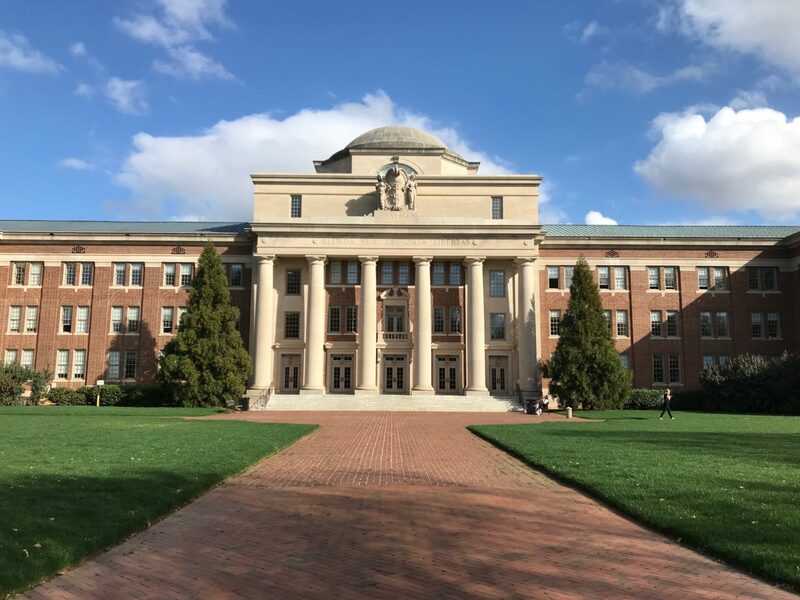 Although Davidson College is a central fixture and historical foundation here, Davidson itself is hardly a typical college town. That means you won’t find party bars or fast food. Instead, family-friendly diners, farm-focused cafes and sophisticated date night restaurants dominate the scene. The Pickled Peach, a market-side cafe, and Davidson Ice House, a new restaurant opening soon on South Main, offer elevated fast-casual counter service options spotlighting fresh local produce. The Soda Shop and Famous Toastery’s flagship location are two classic family-friendly eateries for daytime dining while lakeside date spots like The Cabin and North Harbor Club are the perfect for sunset happy hours on the water. Then of course there’s Kindred, a gorgeous, two-story restaurant inside a former pharmacy on Main Street and the talk of the town that put Davidson on the national radar when it was named one of Bon Appetit’s top 10 restaurants in the country in 2015. Kindred – 131 N. Main Street – Welcome to your #1 food destination in Davidson (and in the entire greater Charlotte area as far as we’re concerned). The family-owned restaurant exploded onto the scene in February 2015, snagging a spot on Bon Appetit’s list of the Hot 10 Best New Restaurants in the country later that same year. Summit Coffee – 128 S. Main Street – The cozy coffee shop’s flagship “Basecamp” location has been at home in a historic building on Main Street for 20 years. Famous Toastery – 101 N. Main Street – The local breakfast and brunch chain got its start here in Davidson and has since expanded to 26 locations with five more on the way. The Pickled Peach – 202 S. Main Street – There’s no street front entrance so head around back for soups, salads and sandwiches made with locally sourced ingredients. 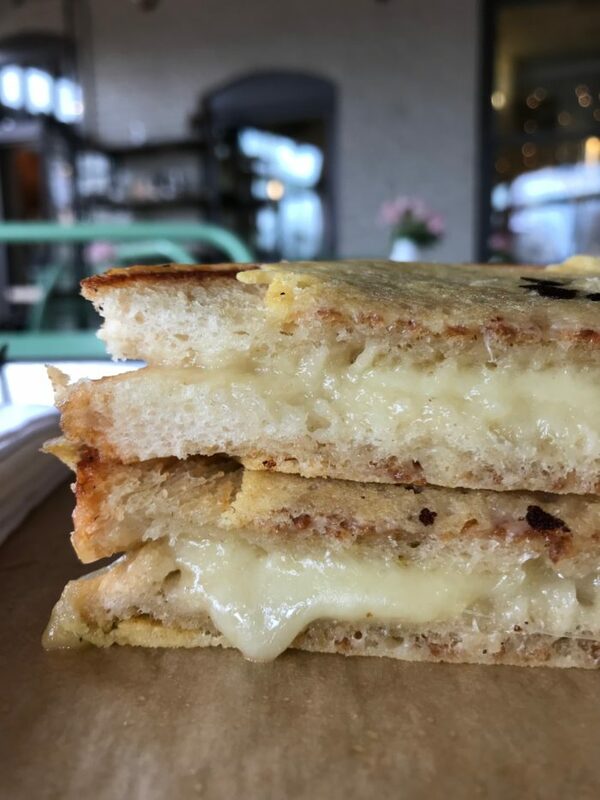 Go for the grilled cheese, which features an extra layer of crispy cheese seared to the outside of the bread. 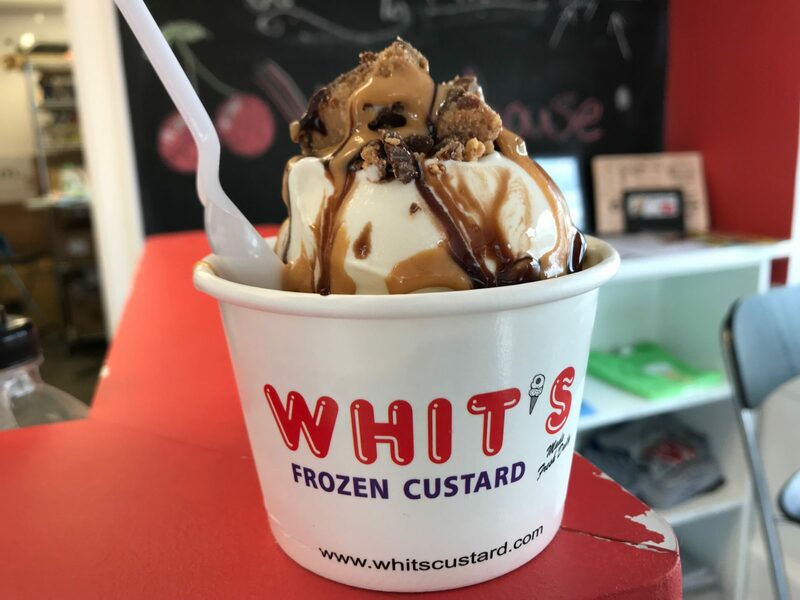 Whit’s Frozen Custard – 428 S. Main Street – Stroll down to South Main Street for a sweet treat. The Ohio-based chain’s most popular menu item is the Buckeye Madness with Reese’s cups, chocolate syrup and peanut butter. North Harbor Club – 100 North Harbor Place – Stop by Saturdays and Sundays 11 a.m. – 2:45 p.m. for a waterside brunch on Lake Norman. The Cabin at Lake Norman Cottage – 400 N. Harbor Place – A cozy lakeside hangout that feels like a friend’s living room. Grab a bottle of wine and a lounge chair out front to catch the sunset. Davidson Ice House (COMING SOON) – 416 S. Main Street – Food writer, recipe developer and restaurant consultant Jenny Brulé’s new restaurant in an old ice house will feature build-your-own bowls and wraps that can be customized to accommodate vegetarian, vegan and Paleo diets. Stroll along Main Street. Much of the action is Davidson is found along a mile stretch of Main Street from Griffith Street at the entrance of Davidson College down to the South Main Arts District. 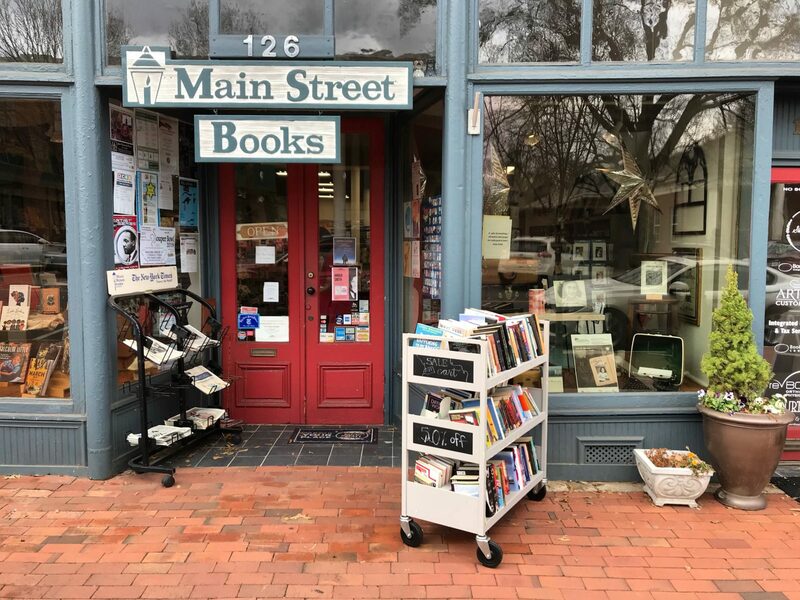 You can fill up your day browsing local shops like Main Street Books and Rumor Mill Market, walking the grounds at Davidson College’s 665-acre campus and supporting local vendors at the Saturday morning Davidson Farmers Market. 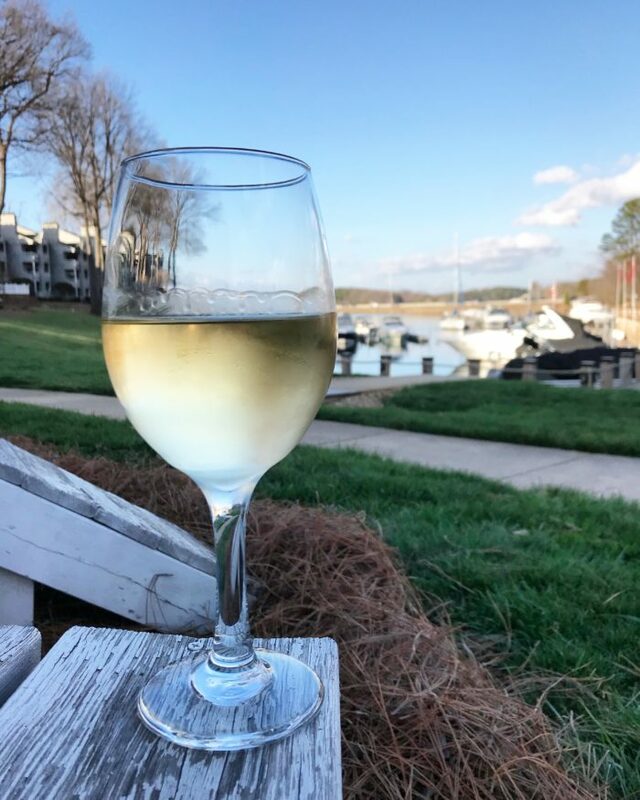 But save time to venture a bit outside downtown where you’ll find waterside bars on Lake Norman and outdoor adventure at nearby Fisher Farm, a 200-acre park with walking and biking trails. Shop the Farmers Market – It takes place every Saturday in the lot next to Summit Coffee and features 30+ local vendors. Eat your way through a food tour of Main Street – Tour de Food hosts Davidson food tours every other Saturday at 1:30 p.m. Tickets are $50 and include stops at 5-6 restaurants. Attend an annual event – Look for a celebration of the arts in April featuring a gallery crawl and Art on the Green Festival, Concerts on the Green select Sundays throughout the spring and summer, Downtown Davidson Fall Arts Festival in September and Christmas in Davidson the first weekend after Thanksgiving. Hike or cycle at Fisher Farm – The 200-acre park features mountain bike trails and paved walking trails. You can rent bikes downtown at The Spirited Cyclist starting at $20/day. If you’re not comfortable cycling the 4-6 miles from the shop to the park, bikes can be delivered to your riding destination for an additional $25. 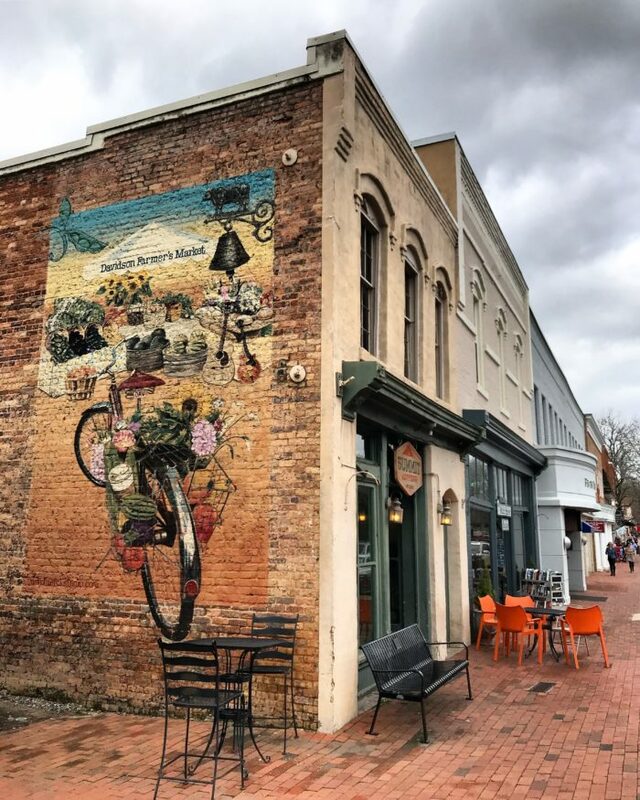 Learn the town’s history on a self-guided walking tour – Davidson Historical Society created a 1-hour self-guided walking tour with printable guide packed with 50+ points of interest. Catch a show an visit the art galleries at Davidson – The Van Every / Smith Galleries are open 7 days a week and upcoming theatre department productions can be viewed here.